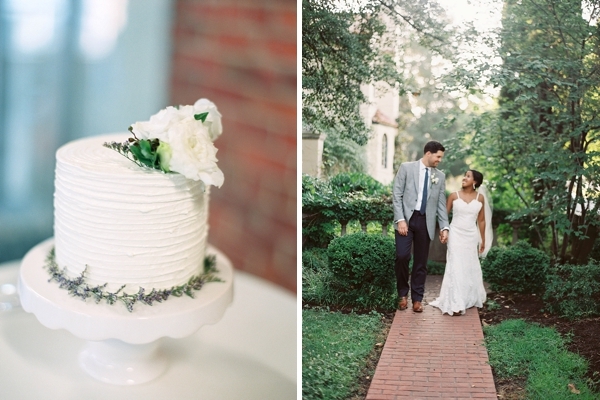 Inspired by fine art and urban architecture, KK and Josh had a wedding vision of lovely contrasts in downtown Richmond. 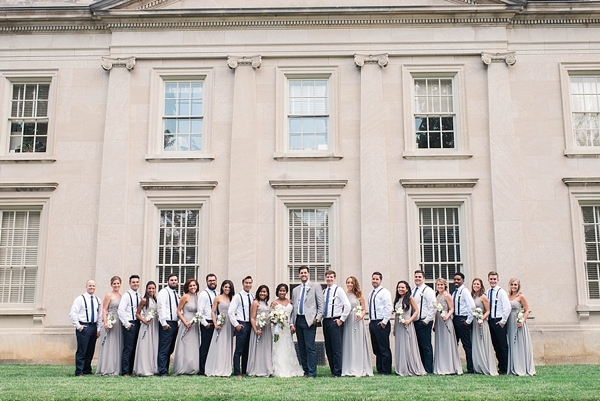 From the European-influenced private residence for wedding portraits to an industrial warehouse from the 1940's, everything showed off the diverse beauty of Virginia's capital. 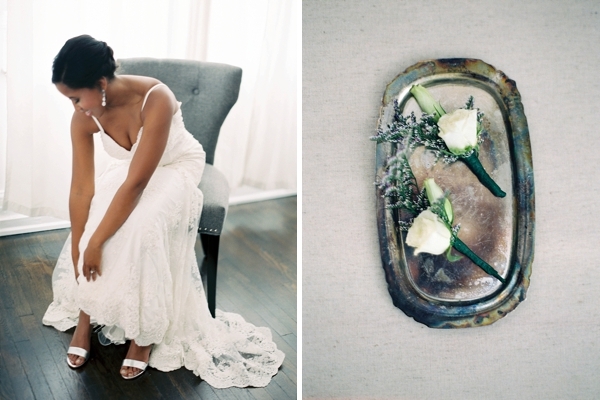 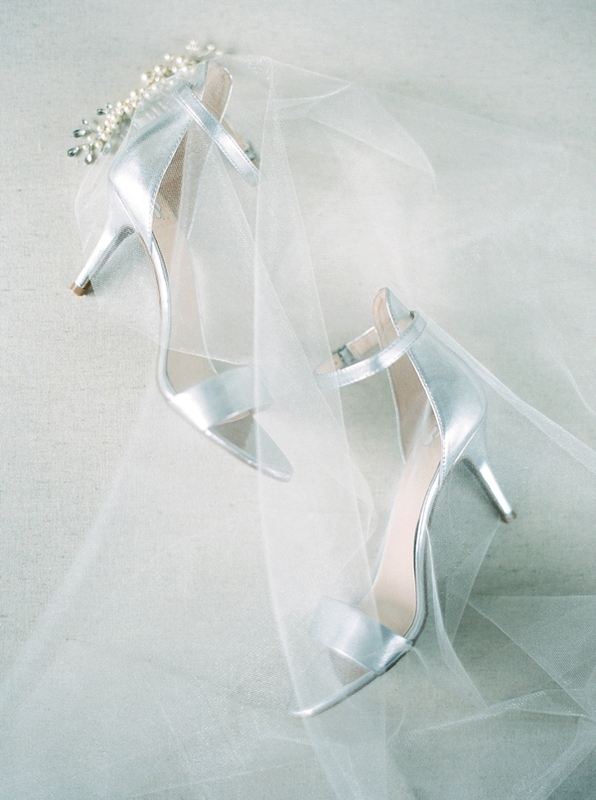 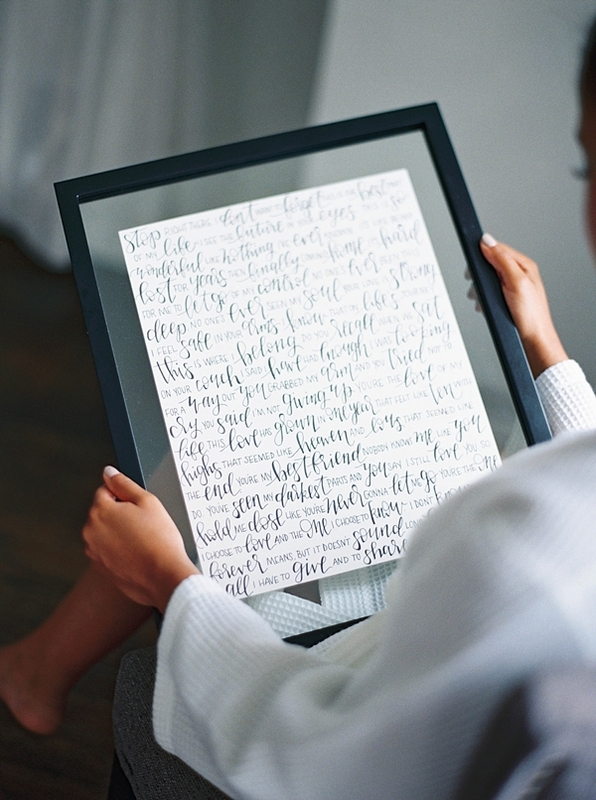 Captured by Kim Stockwell Photography, personal handmade details abounded in their intimate modern wedding. 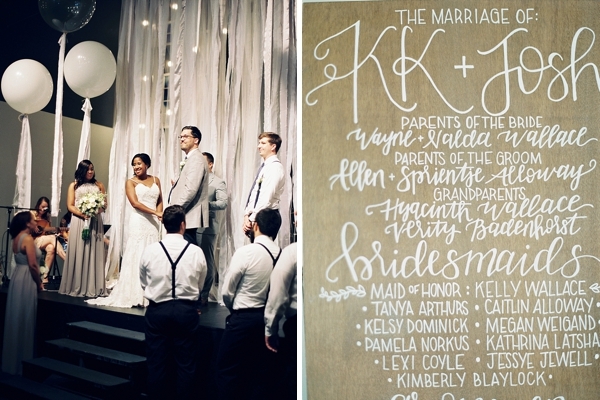 We absolutely love that KK's wedding gown was made specially for her by designer (and bridesmaid!) 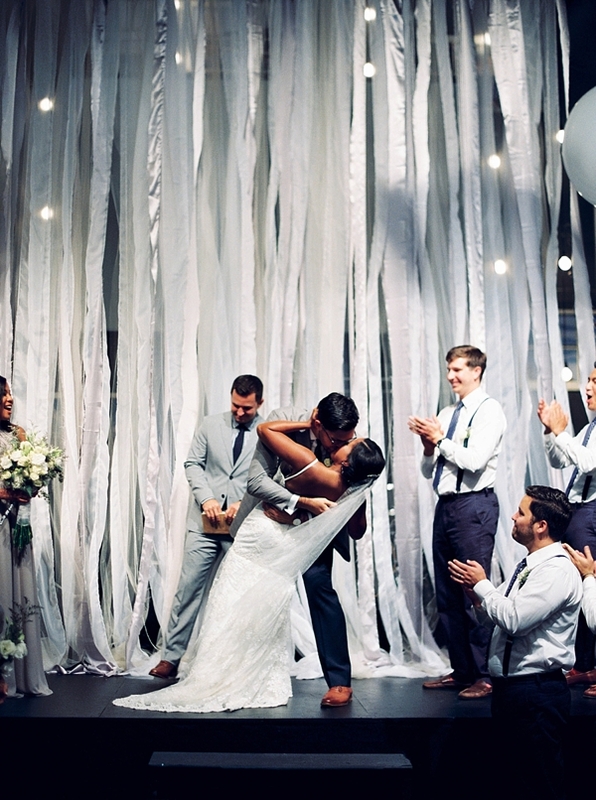 Kelsey of DiDomenico Designs, their epic silver and white streamer ceremony backdrop with giant white balloons, original song by the groom Josh to which KK walked down the aisle, and handpainted signage all throughout the big day. 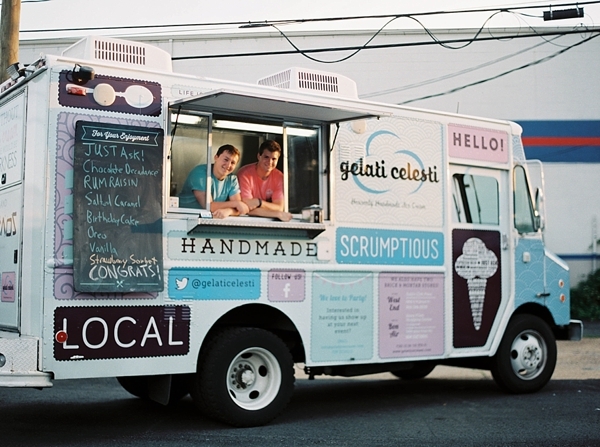 And heck, any wedding with a fab taco truck that provided catering alongside a yummy ice cream truck dishing out sweets to everyone celebrating is going to be a fun one! 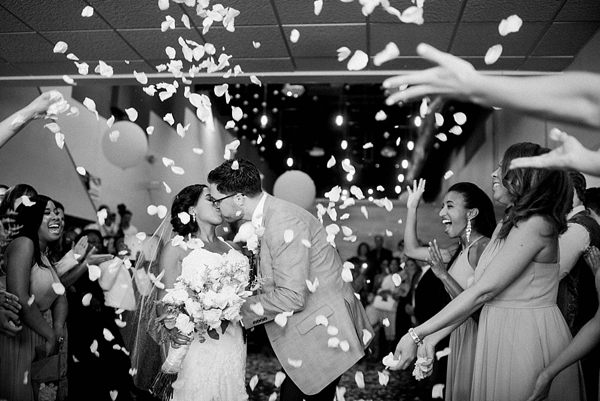 KK and Josh wanted to give their closest loved ones a true Richmond experience, and it definitely happened with live music, unique venues, and food trucks.